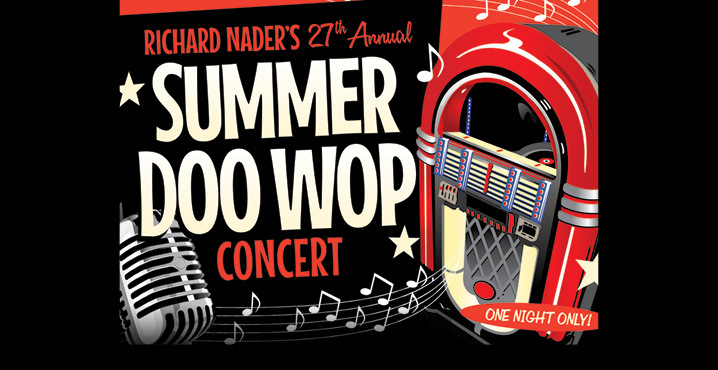 Here in New Jersey, it’s time again for Richard Nader’s Annual Summer Doo Wop Concert (# 27). They always have a great line up and this year is no exception – The Duprees, Coasters, Charlie Thomas’ Drifters, Gene Chandler, Jay Siegal’s Tokens, Shirley Alston Reeves (Original lead of the Shirelles), Lou Christie, Tommy Mara & the Crests and Ladd Vance (son f Kenny Vance). It takes place Sunday June 5 at the New Jersey Performing Arts Center (NJPAC), Newark New Jersey, beginning at 3 PM. 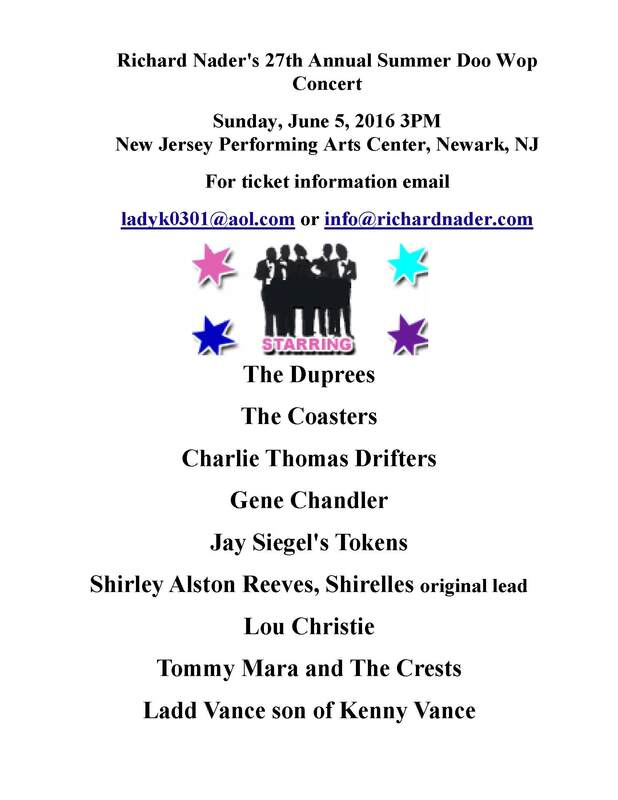 For ticket info, email ladyk0301@aol.com or info@richardnader.com.